It’s Wimbledon time! And as such, my mind is on classic white tennis shoes. I don’t mean the high tech trainers that Andy Murray and co will be wearing for the next fortnight, but the traditional plimsoll-styles more akin to our other great British tennis hero, Fred Perry. 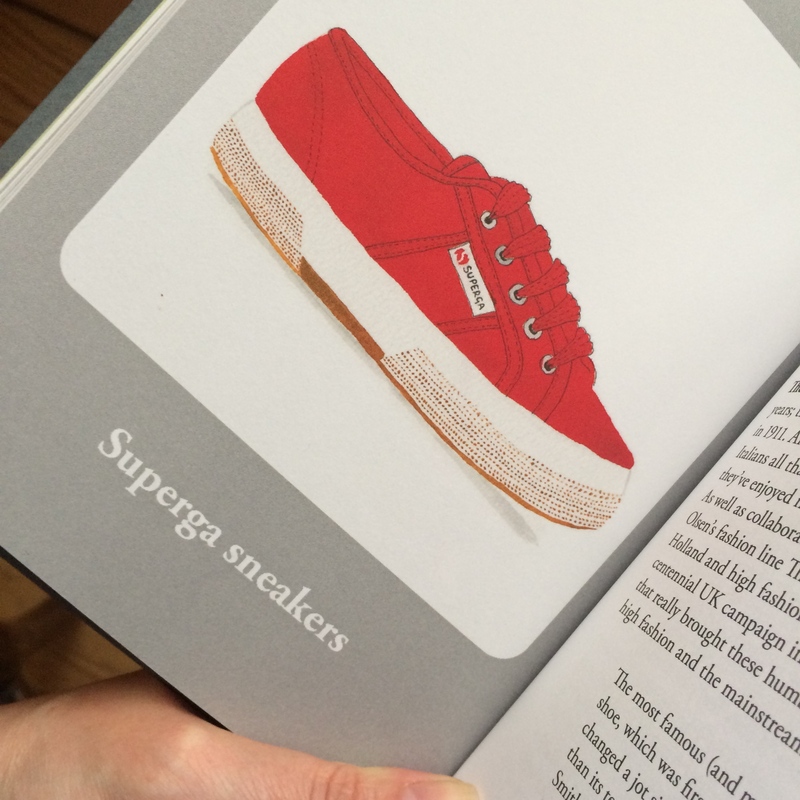 So to celebrate, I thought I’d give you a couple of extracts from my book – En Brogue: Love Fashion. Love Shoes. Hate Heels – on the very subject. In 1972, an American tennis player called Stanley Roger Smith won Wimbledon wearing a pair of adidas ‘Robert Haillet’ tennis shoes. 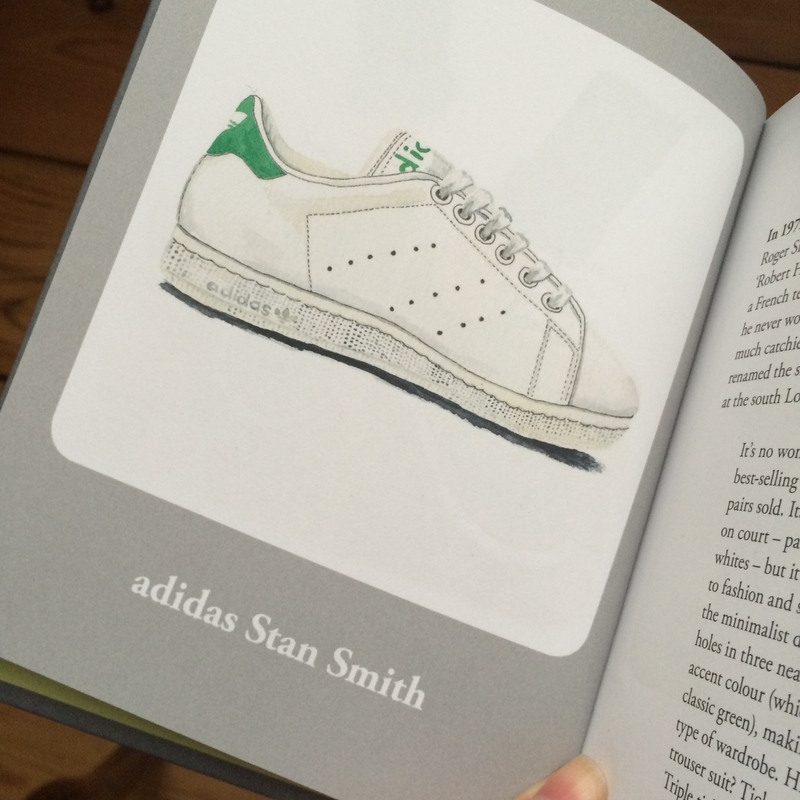 Their namesake was a French tennis player, but unfortunately for him, he never won a grand slam and Stan Smith was a much catchier name; a detail not lost on adidas, who renamed the shoe in Smith’s honour after his success at the south London tournament. It’s no wonder that this humble white shoe is the best-selling tennis shoe of all time, with over 40 million pairs sold. Its simple design not only looks really smart on court – particularly when paired with Wimbledon whites – but it effortlessly makes the leap from sport to fashion and street style. I think its success lies in the minimalist design; the adidas 3-Stripes are just air holes in three neat lines, and there is usually only one accent colour (which, in my book, should always be classic green), making them easy to integrate into any type of wardrobe. Hip hop sportswear? Tick. Pinstripe trouser suit? Tick. Pencil skirt and cashmere sweater? Triple tick. No wonder they’re favourites of everyone from David Bowie to Pharrell Williams. Head to the adidas website to get a pair for yourself. These tennis shoes have been around for over 100 years; they were first made in Italy by Walter Martiny in 1911. Although they have been a favourite with Italians all that time, it’s only in recent years that they’ve enjoyed mass popularity around the world. As well as collaborations with Mary-Kate and Ashley Olsen’s fashion line The Row, Brit designer Henry Holland and high fashion label Versace, it was a centennial UK campaign in 2011 with Alexa Chung that really brought these humble little sneakers into high fashion and the mainstream. The most famous (and my favourite) style is the 2750 shoe, which was first produced in 1925, and hasn’t changed a jot since. It might have a less catchy name than its tennis shoe contemporary – the adidas Stan Smith – but I love its simplicity and that Italian chic really shines through. Although it looks great in bright colours and prints, you really can’t beat it in classic white, navy or red. Head to the Superga website to get a pair for yourself. You can buy my book at Waterstones, Amazon, Northern Cobbler, Anthropologie, Urban Outfitters and all good book stores, RRP £10.